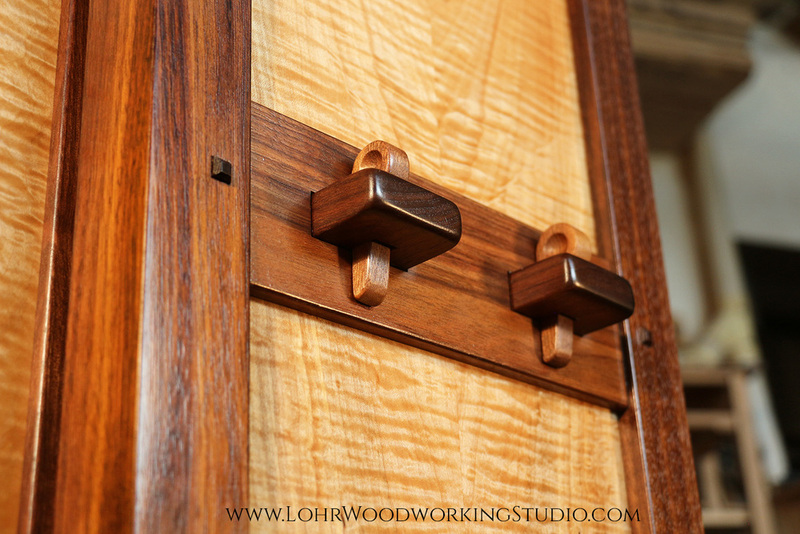 This cabinet features the most stunning curly maple top and panels. The depth of figure in this maple is extraordinary. The material was sourced from the local cemetery, where we spent a few days sawing downed logs into boards. 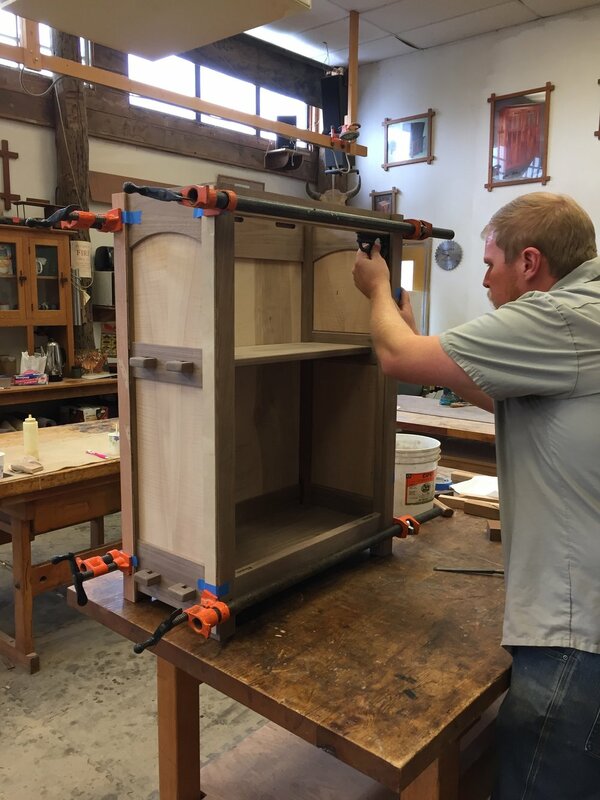 The cabinet is a knockdown construction with tusk tenons wedged from the outside. The table top features a Greene & Greene style breadboard end with walnut splines and buttons. 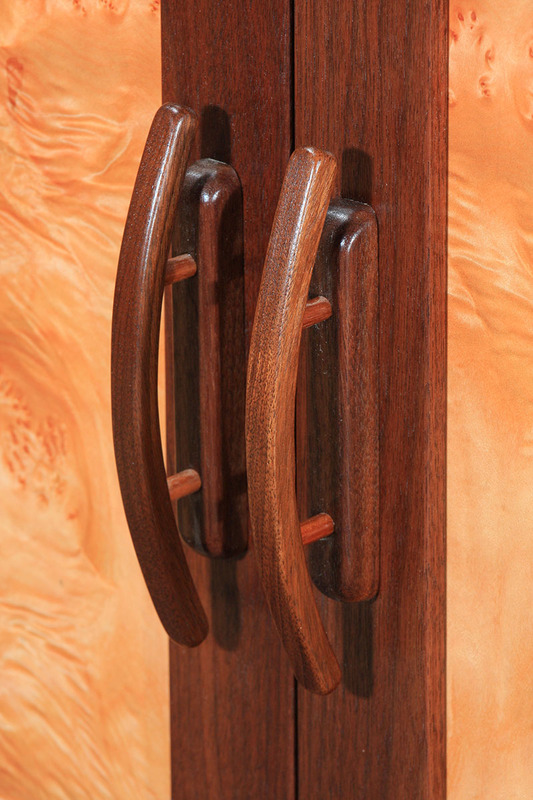 The pivot hinges on the door allow this piece to have no visible hardware.